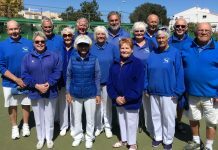 Home Sport Bowls San Luis Bowls Club Report 26.10.18. A mixed week; just as we start making progress in the leagues an unexpected banana skin (& we eat plenty!) or newly revitalised team, happens and pulls us back again. 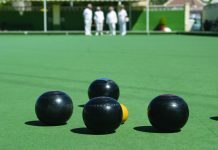 Maybe that’s what makes bowls such a frustrating challenge & so much fun. Monday 22nd SL Klingons home v VB Albatrosses; a good battle 8pts-4, 105 shots-72. 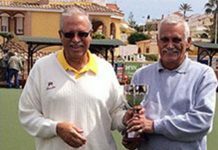 Winners: Colin Jackson, June & Keith Jones 42-8, William Holtham, Sabrina & Russell Marks 20-10, Ann Holland, Keith Phillips, Ray Pollock 27-19. SL Trekkers away v VB Drivers; not a good day 2pts-10, 75 shots-105. Winners: Judy Carroll, Mags Haines, Derrick Cooper 24-5. 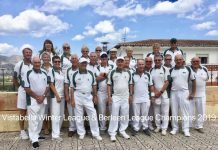 SL Vulcans v GL Chestnuts, a hard fought match, shots 78-81, 4pts-8. 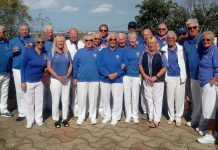 Well done: Bob Bromley, Sue Ross, Brenda Brown 18-11, Audrey Ford, Ken Dullaway, Geoff Shand 28-5. SL Romulans away at Vistabella, were unfortunately overrun by the Buggies, 0-12, 36 shots-180. 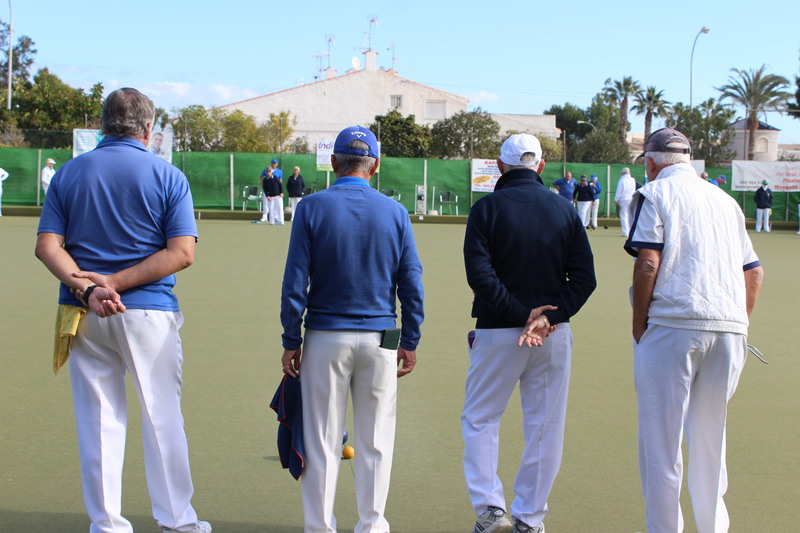 Wednesday 24th Winter League: San Luis away v Javea Green, had a hard fought match for few points; 4-8, shots 76-90. 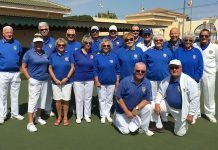 Winners: Kath Reid, Giuseppe Galelli, Neil Morrison, Ian Kenyon 15-14, Shirley Verity, Ray Clarke, Sabrina & Russ Marks 21-16. Our Berleen team; Ros Holmes, Kevin McKenna, Barry Edwards, Ray Pollock, had a great win 29-12. 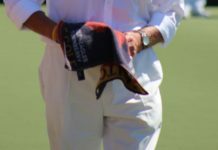 Friday 26th SL Lions away v GL Oaks, had a frustrating morning for just 2pts-10, shots 71-80. Winners: Colin Jackson, June & Keith Jones 24-7. SL Tigers away v ER Mustangs had a tough match; 2pts-10, 64 shots-102. Winners: Ros Holmes, Jan Pocock, Les Bedford 16-15. SL Leopards home to La Manga Crusaders, had a positive result; 8pts-4, 115 shots-53. 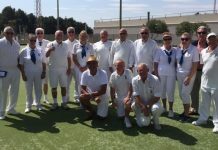 Well done: Charlie Marigold, Ian Ross, Malcolm Ayton 27-6, Audrey Ford, Kevin Hull, Geoff Shand 26-6, Derek Barker, Ray Whatmough, Ken Dullaway 36-9. SL Pumas away v LS Silvers were close on shots, 81-91, 4pts-8. Winners: Pat Barnes, Danny McErlean, Ralph Jones 28-15, Anne Jackson, Bob Bruce, Lyndon Johnson 17-16. 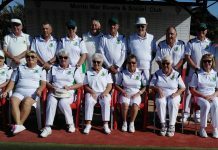 Thursday 25th San Luis had a great result home & away v Monte Mar in the Premier 20 knockout competition. 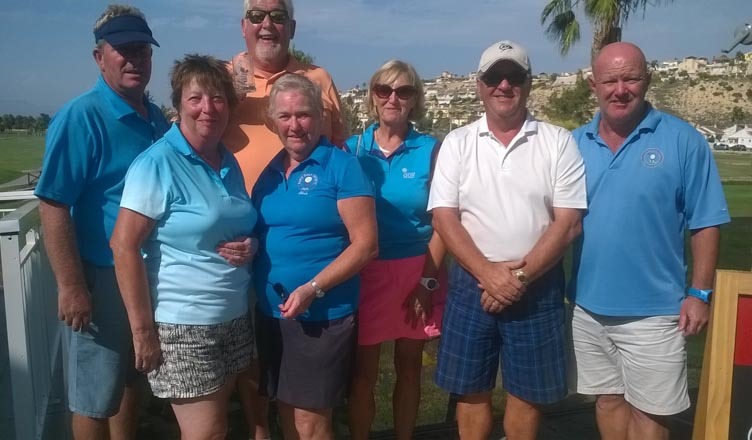 Winners (away) Ian Kenyon 21-7, Ros Holmes & Keith Phillips 21-14, Shirley Verity, Jo & Jules Pering 24-10. 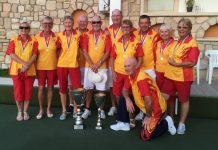 Winners (home): Colin Jackson 21-7, Jan & Brian Pocock 30-10, Ann Holland, Bill Webb & Neil Morrison 25-10, Kath Reid, Pam Lockett, Dave Blackie & Scott Malden 18-11. Next round 06/12/18 v Javea Green. 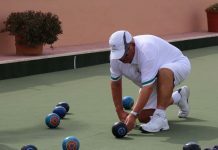 SLBC information, club website: www.sanluisbowls.byethost7.com or contact June Jones, Club Captain: 691903773.